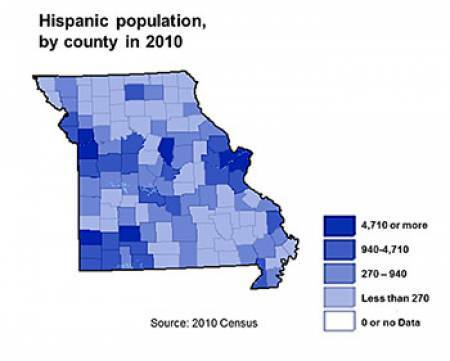 The Cambio Center was established in 2004 to provide research and outreach on Latinos and changing communities in Missouri, and to strengthen linkages between the University of Missouri and Latin American countries. Develop a premier source of knowledge, scholarship, and outreach to respond to the local effects of globalization. Provide knowledge and best practices to facilitate a smooth integration of newcomers to Missouri and the Midwest, and prepare all citizens for a diverse society. Several Cambio Center fellows have extensive research and outreach experience in Latin American countries in areas of immigration, climate change, education, community development, agricultural development, social sciences and the humanities. Many fellows also seek to understand the causes, consequences, and responses to immigration in new immigrant destinations of the Midwest and more traditional settlement areas. A current research grant project titled “Immigrant Integration & Sustainable Rural Development: Linking Receiving and Newcomer Communities” is led by Cambio Fellows Corinne Valdivia (PI), Lisa Flores (Co-PI) and Steve Jeanetta (Co-PI). CAFNR International Programs supports the Center’s ongoing projects by providing project management and fiscal support. Along with CIP, the project investigators are crucial actors in the fulfillment of the international mission of the Cambio Center. Visit the Cambio Center website for more information on ongoing research and outreach efforts.